We just got back from our annual trip to St. Augustine, FL. We go down to St. Augustine for The Players Championship golf tournament. The guys go to the tournament and the girls go shopping. The shopping in St. Augustine is AMAZING! The are tons of outlets, and Jacksonville is a short drive away. 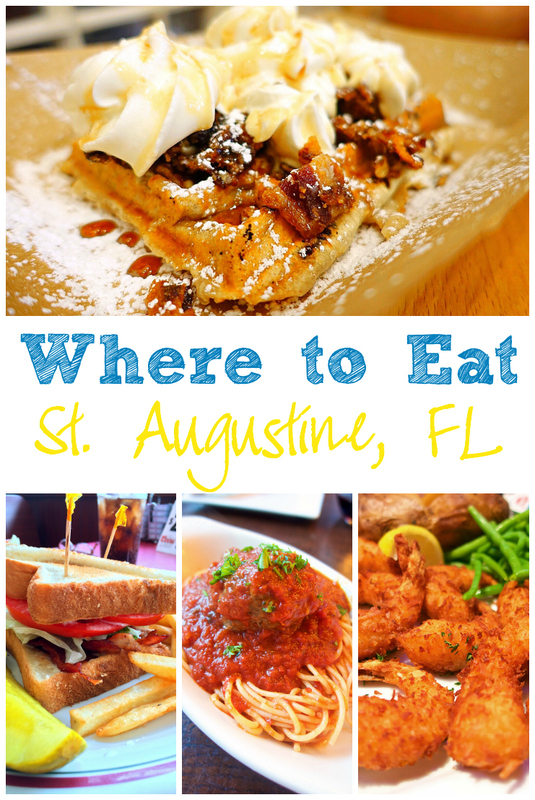 St Augustine has become one of our favorite eating towns too. 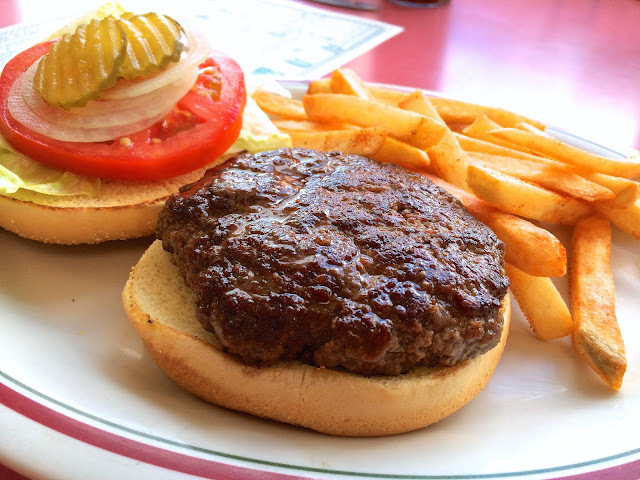 We ate at several new places on our trip this year and hit up a few favorites too! We wanted to try a new place near the St. Augustine beaches. 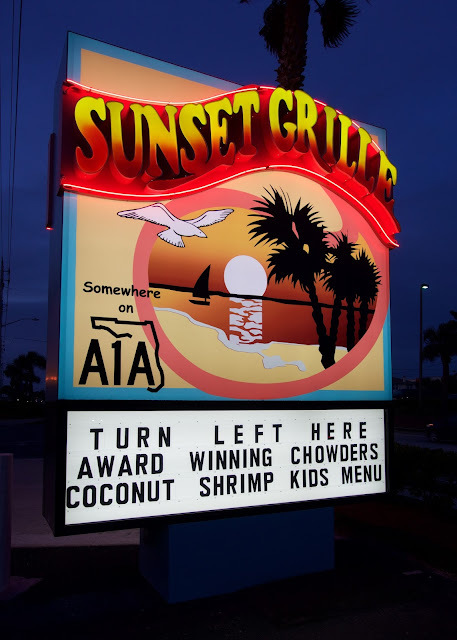 I did some research and found lots of good reviews for the Sunset Grille on A1A (beachfront avenue!!!). 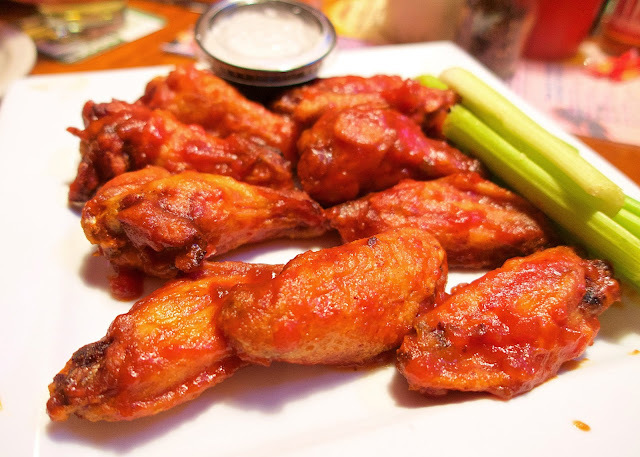 We had to try the Datil pepper wings. Datil peppers are super popular in St. Augustine. They even have a Datil Pepper festival! The wings were really good. The sauce was a little sweet with a kick from the peppers. We also ordered some fried pickles. 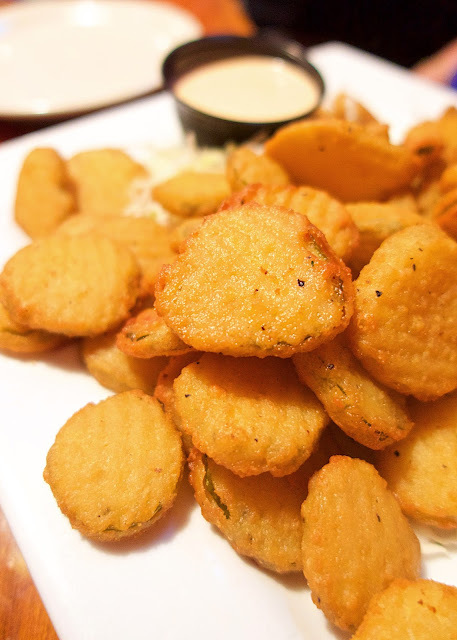 You just can't go wrong with fried pickles! 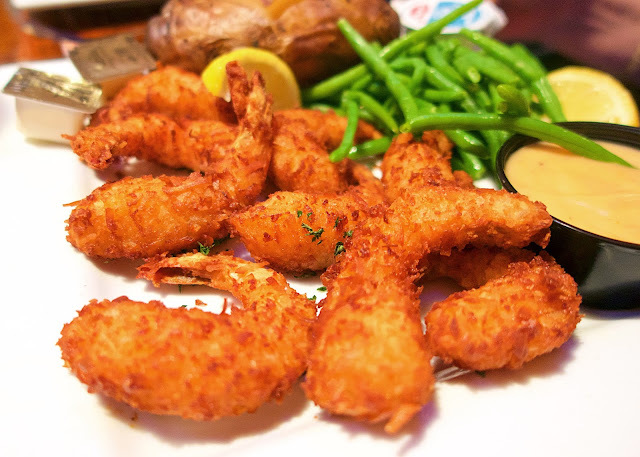 The Coconut Shrimp was crazy good. It came with green beans and a baked potato. 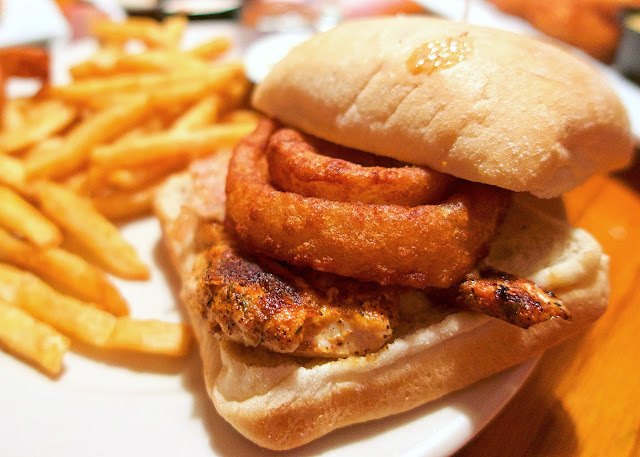 Chicken Legs got the Ultimate Fish Sandwich with fries. I got the Ultimate Chicken Sandwich. I got it blackened, topped with swiss cheese, bacon and onion rings. It came with a side of ranch dressing. It was delicious. 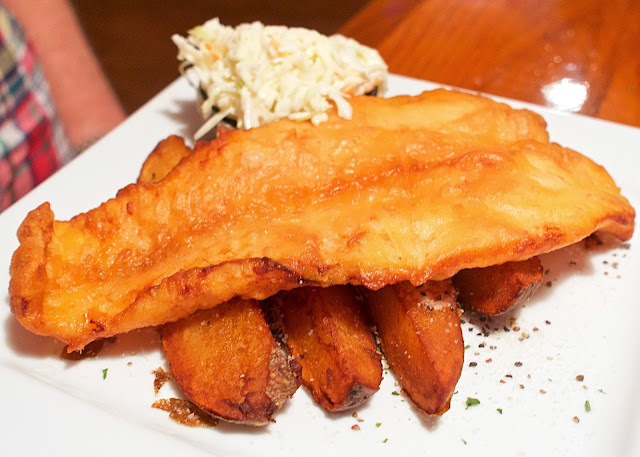 The fish and chips were also a big hit. Look at those potato wedges! We were looking for a lunch place near the outlet malls. I looked on Yelp and TripAdvisor for a non-chain. 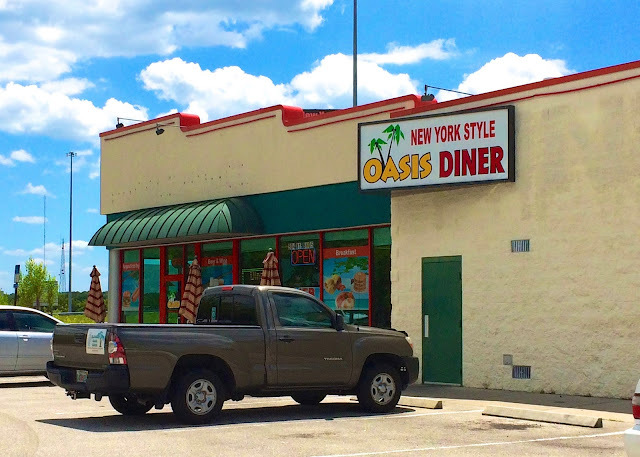 Blondi's Oasis Diner came highly rated on both. We asked the girl at Ann Taylor about it. She said it wasn't good, but there was a Ruby Tuesday's close by. Um, no. We decided to take our chances and give it a try. 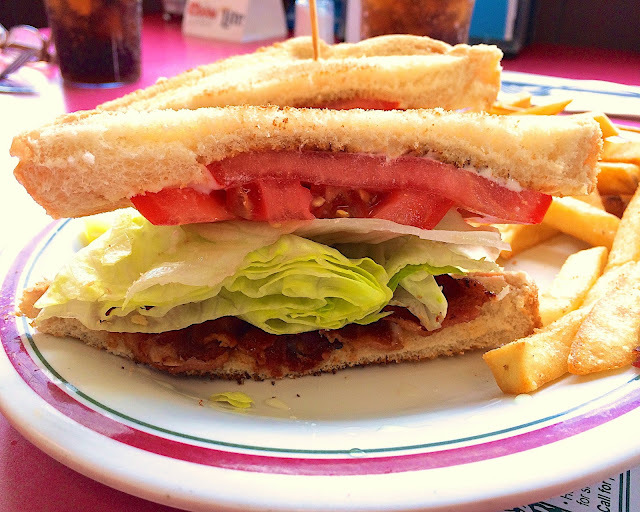 My Mom got the BLT and fries. 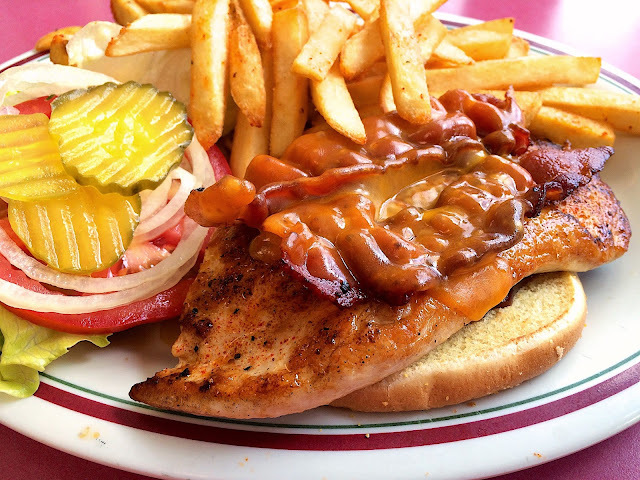 I got the Carolina Chicken Sandwich. Chicken, BBQ sauce, bacon and cheddar. I watched the cook take out the meat and hand form the patty after she ordered it. You can't get much better than that! 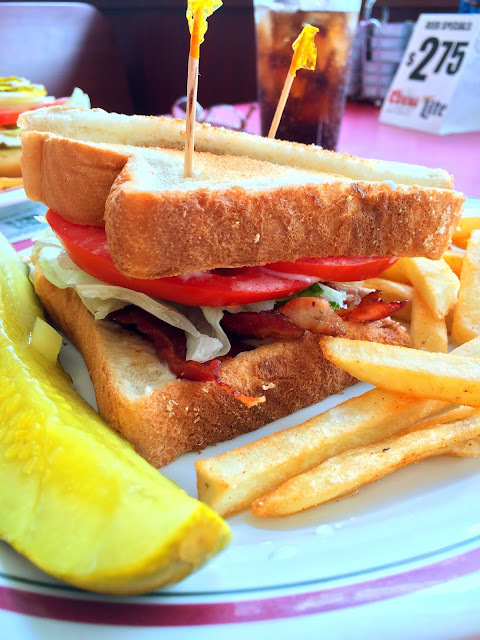 We all agreed that Blondi's Oasis Diner was a hidden gem! We were most excited about trying Barley Republic this trip. 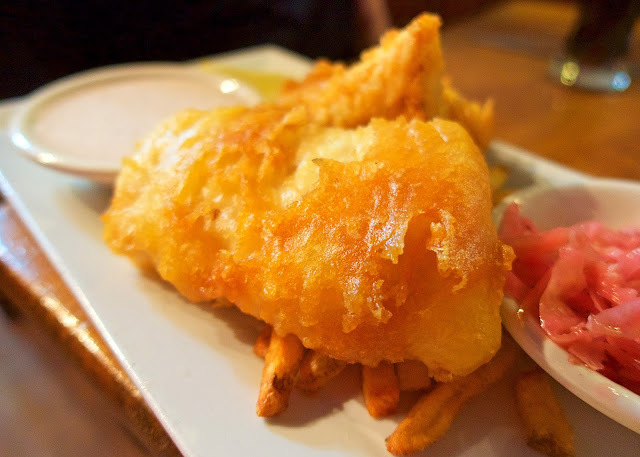 We have really gotten into English/Irish food and this place had great reviews online. 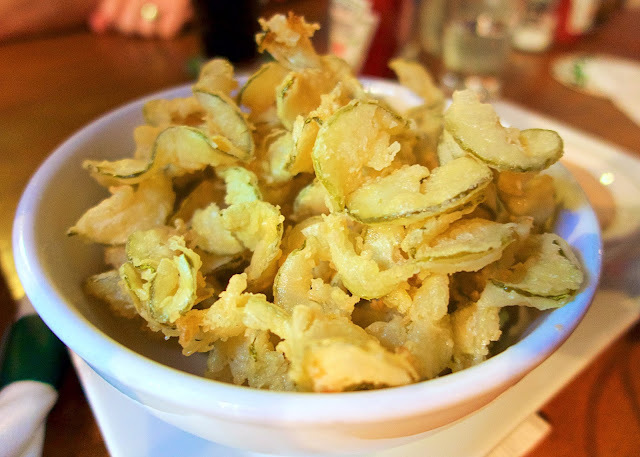 We started with the Fried Pickles. They were cut into really long ribbons! We got several orders of the Fried Bangers. 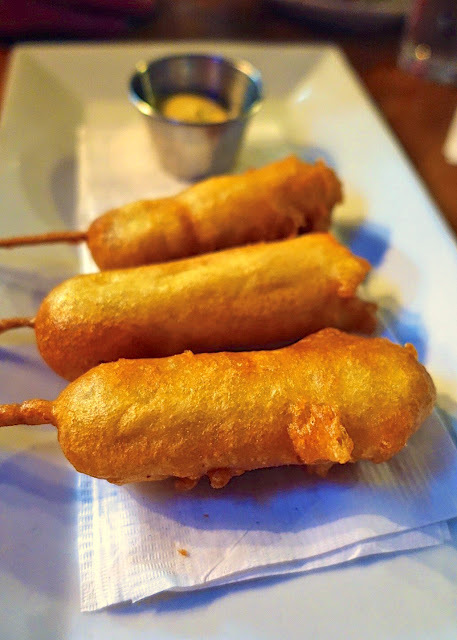 Battered sausages with a mustard dipping sauce. They were SO good. I could have made these my meal. You can't come to an Irish Pub without trying the Scotch Egg. 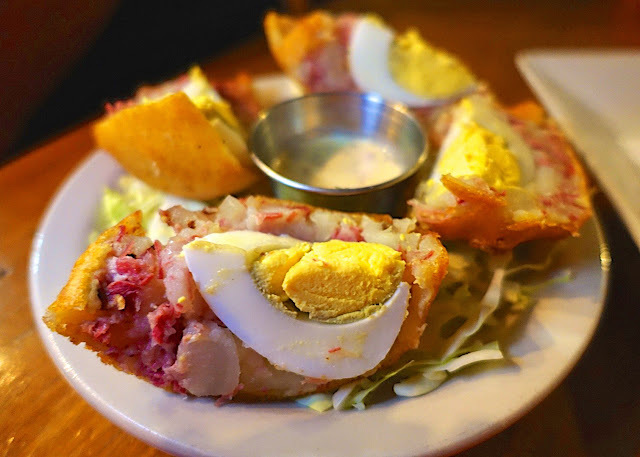 This egg was wrapped in corned beef, battered and fried. Chicken Legs got the Fish and Chips. Look how good and crispy it is! I got the burger and fries. SO good. 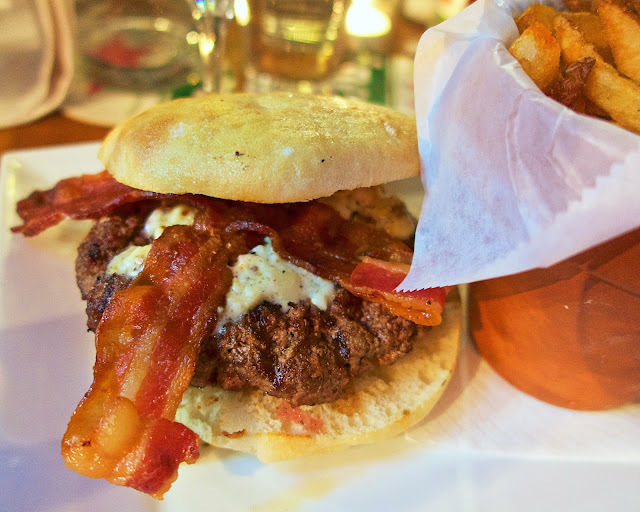 It was topped with bleu cheese and bacon. I wish I had the leftovers for lunch today! The fries were really good and came in a cute flower pot. A couple of people in the group got the Chicken Curry. I didn't get a photo of it, but they said it was the best they have ever tried. I'll get a photo of it the next time we are there, because there will definitely be a next time! This is a new favorite!! 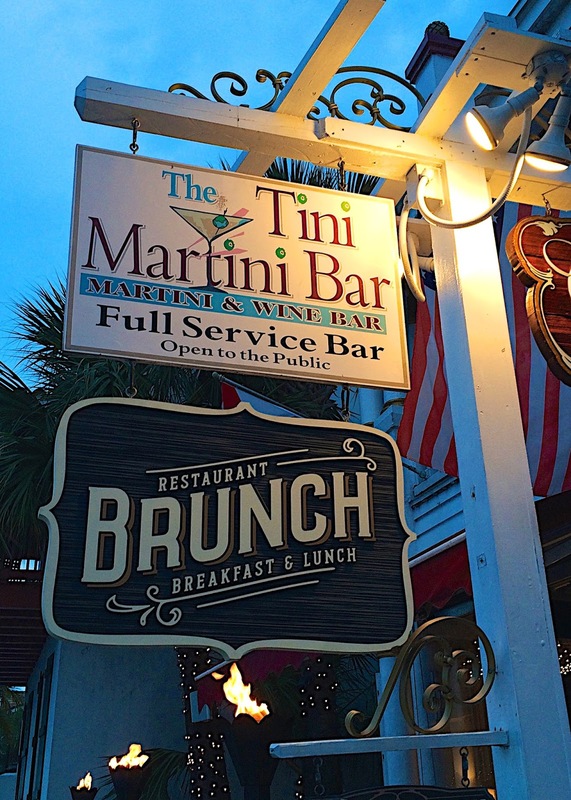 The Tini Martini Bar is our favorite bar in downtown St. Augustine. 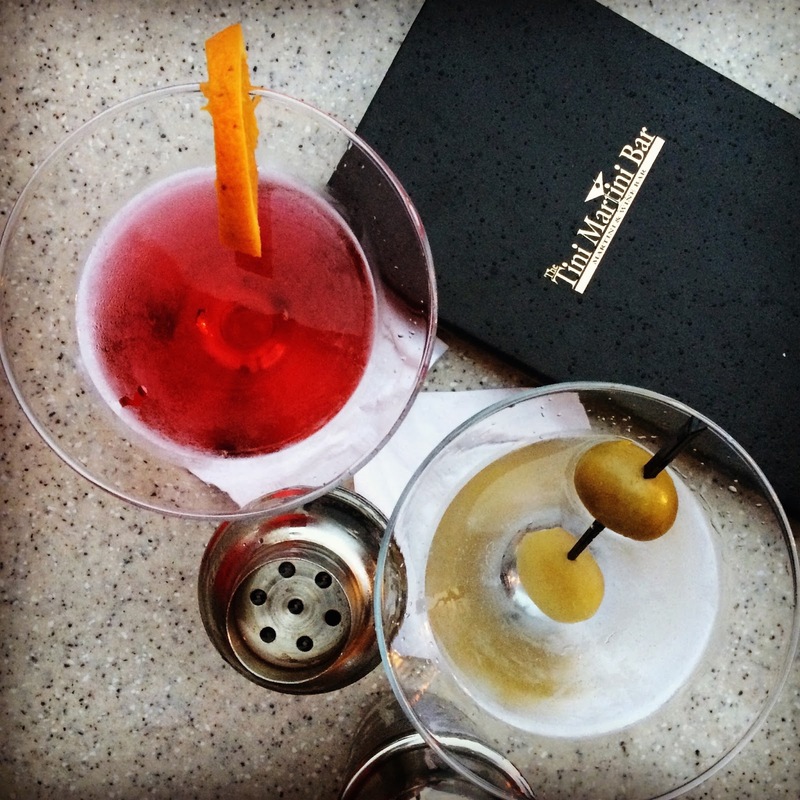 I got a Pomegranate Martini and Chicken Legs got a Tito's Martini with Bleu Cheese Olives. 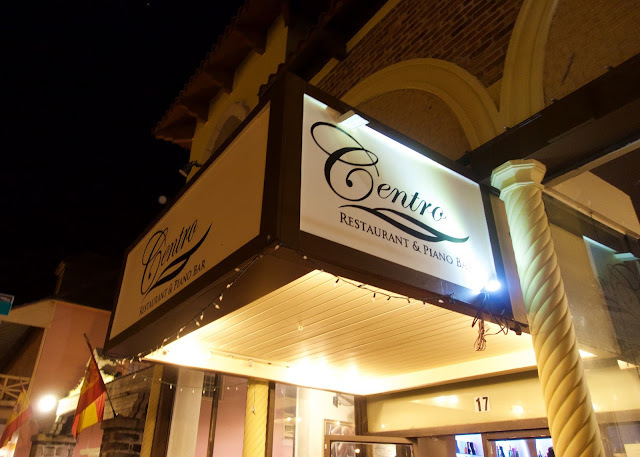 We almost ate at Nonna's Trattoria last year, but ended up at their sister restaurant Centro. 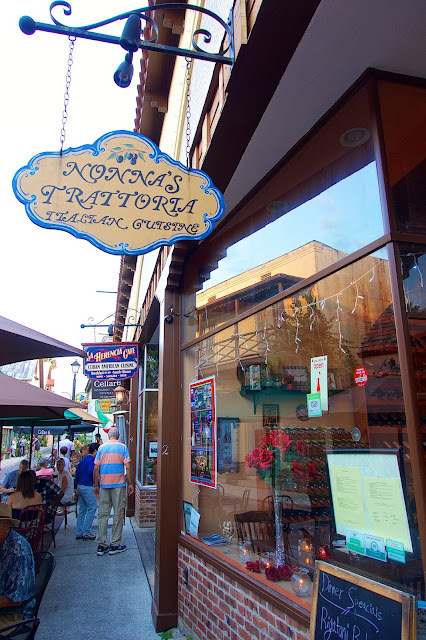 We decided to go back and give Nonna's Trattoria as try this year! 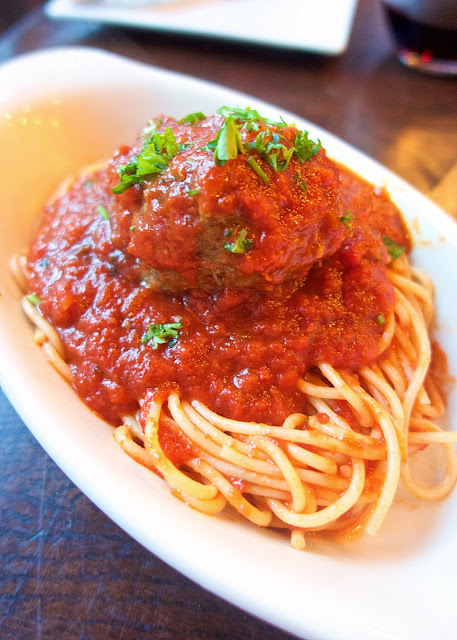 We started with an order of the spaghetti and meatballs. We had them split it into 3 bowls so our whole group could enjoy it. OMG! SO good. I highly recommend this! 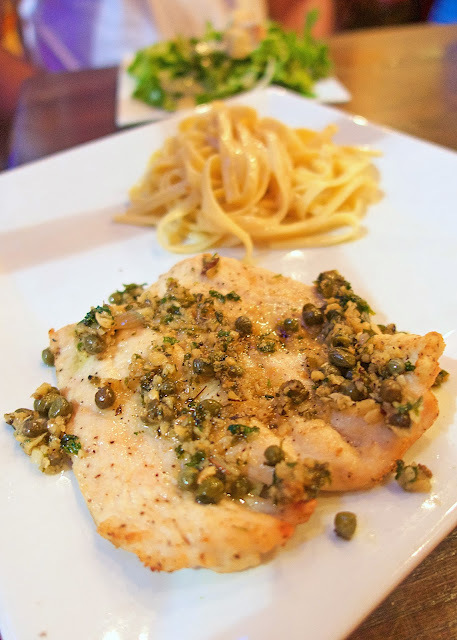 Chicken Legs got the Chicken Piccata with a side of Fettuccine Alfredo. 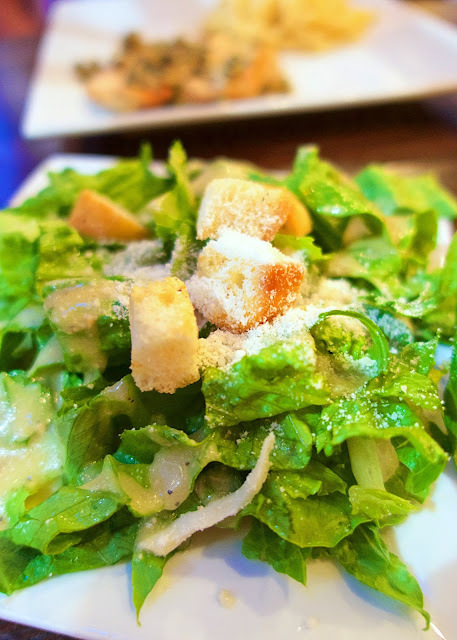 His meal also came with a Caesar Salad. I got the Lasagna. It was super good. 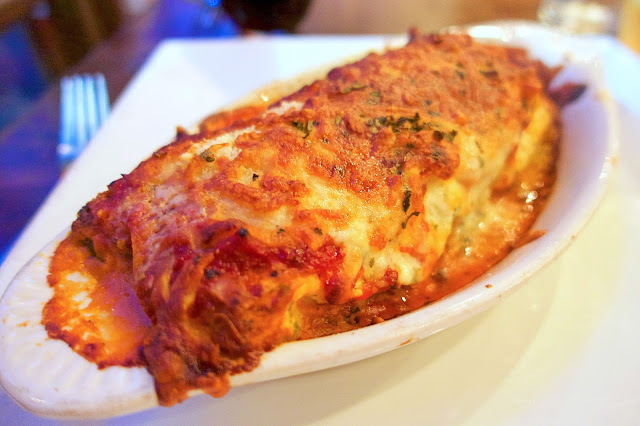 TONS of great cheese and a delicious meat sauce. 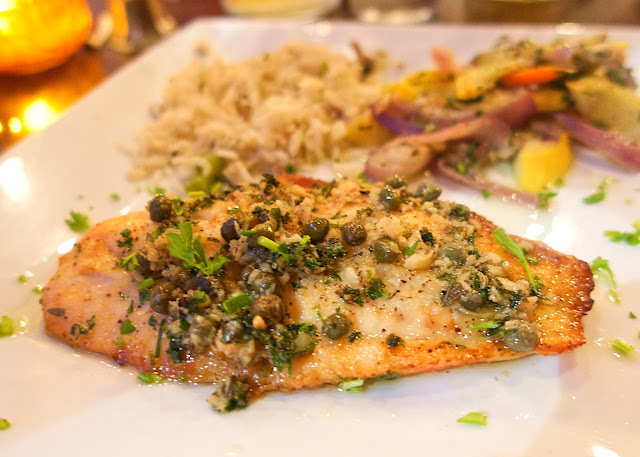 The Grouper Piccata was another popular choice at our table. It came with rice and vegetables. I was lucky to get a picture of it - it was gone in a flash! We discovered Centro last year after a beyond terrible experience at Cellar 6. We left Cellar 6 without eating and walked over to Centro. They treated us like rock stars! 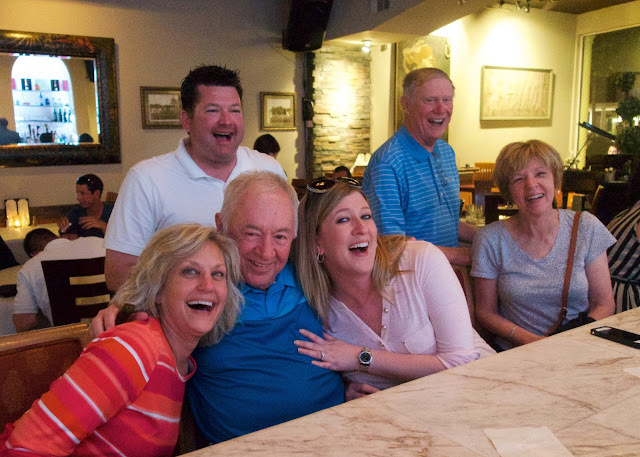 While we were dining at Nonna's Trattoria, the owner of Centro came in. Chicken Legs waved him over to our table to introduce ourselves. He remembered us from last year! He invited us over to Centro after dinner for a drink. 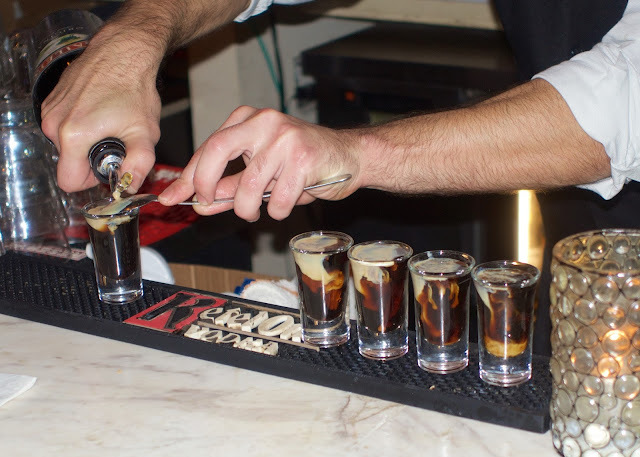 We had a drink and did a shot of Baby Guinness. Patron XO Cafe (coffee flavor) and Baileys. I don't like coffee or Guinness beer, but this shot was great! 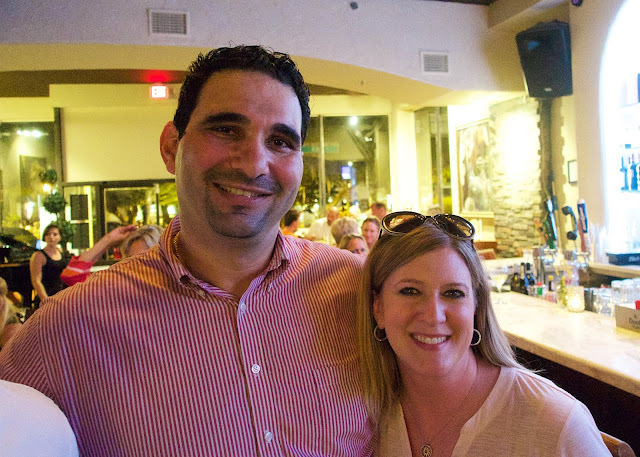 We had a great time at Centro. They had a piano player playing great music in the restaurant. We are definitely going to eat dinner here next year. 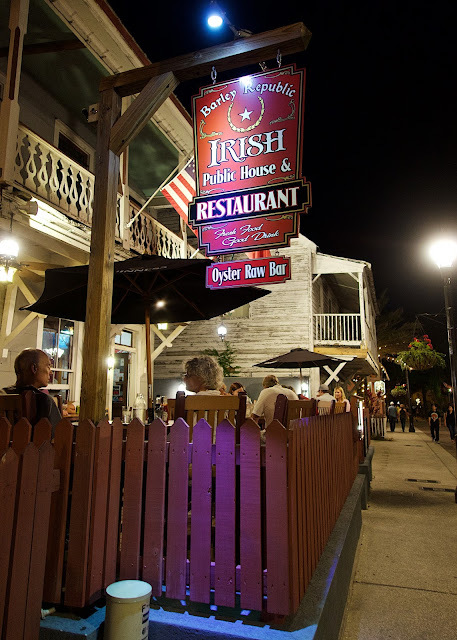 To say the least, this is one of our favorite places in downtown St. Augustine. 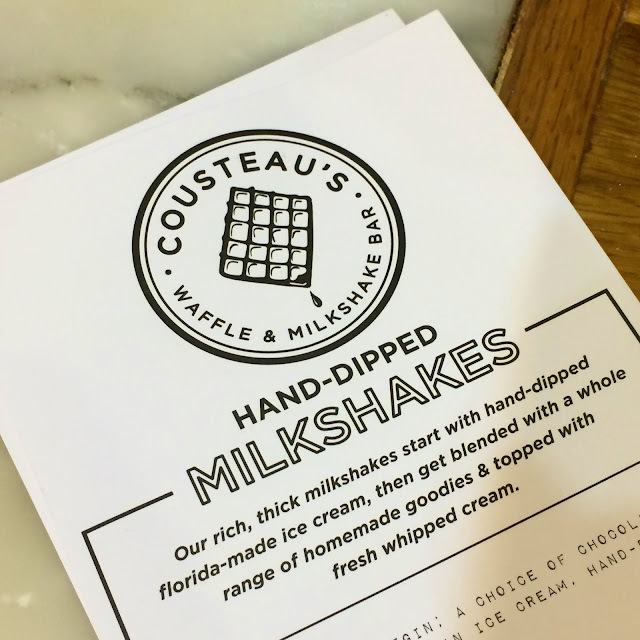 After dinner, Chicken Legs and I walked over to Cousteau's Waffle and Milkshake Bar for dessert. I ate here last year, but Chicken Legs hadn't been here yet. He was dying to try it. 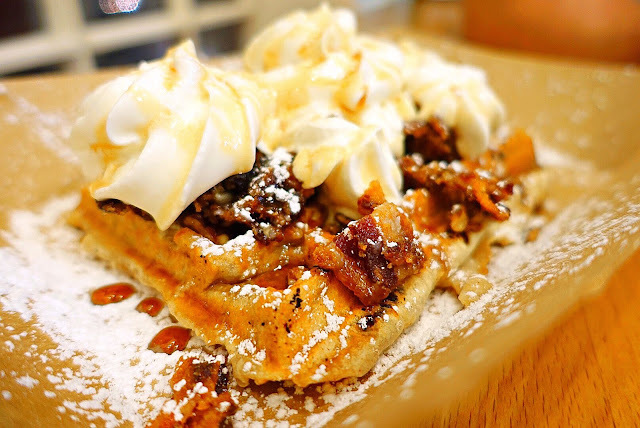 We got the Jaguar Shark - a liege waffle topped with real maple syrup, candied bacon, candied pecans and bourbon whipped cream. We need to plan a trip back to St. Augustine this fall. I really want to eat at all these places again!! 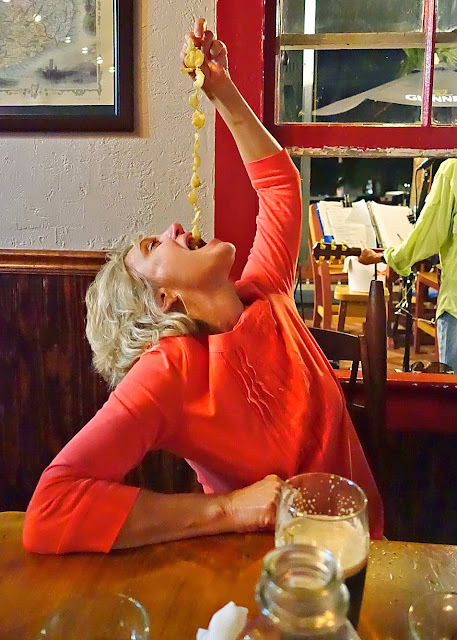 What are your favorite places to eat in St. Augustine? Where should we try on our next trip? 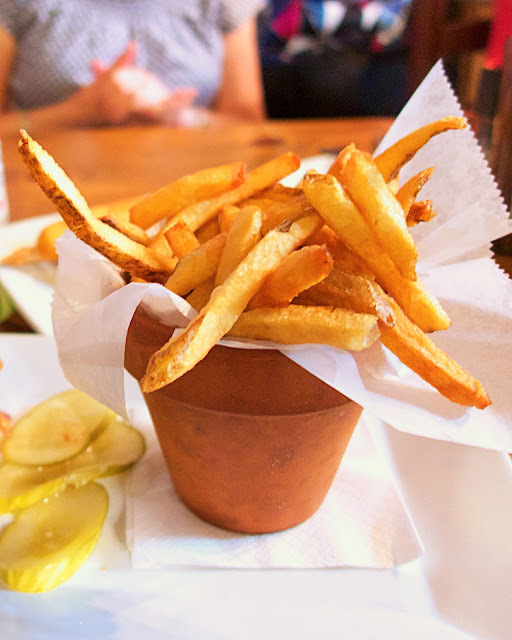 Those ribbon fries look amazing. Actually, it ALL looks amazing. Next time you are in town try Metro Diner, Gypsy Cab, Barnacle Bills & Hyppo Popsicles! The Floridian, and Ice Plant Bar are my favorites. 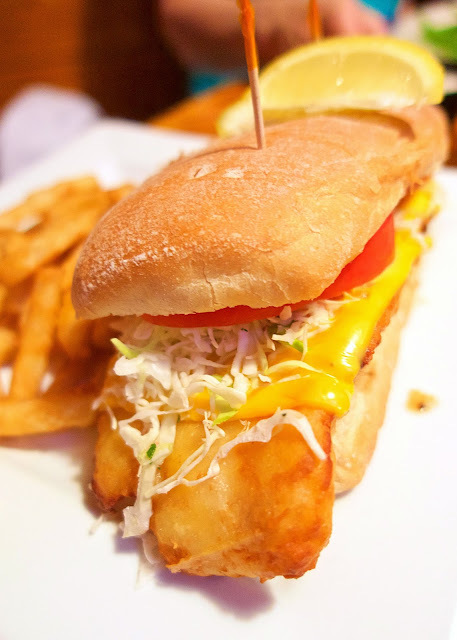 Yelp is my go-to for dining out when I'm out of town! It has never steered me wrong. Black Molly is been on my list - glad to know it is good! I will add these places to my list.